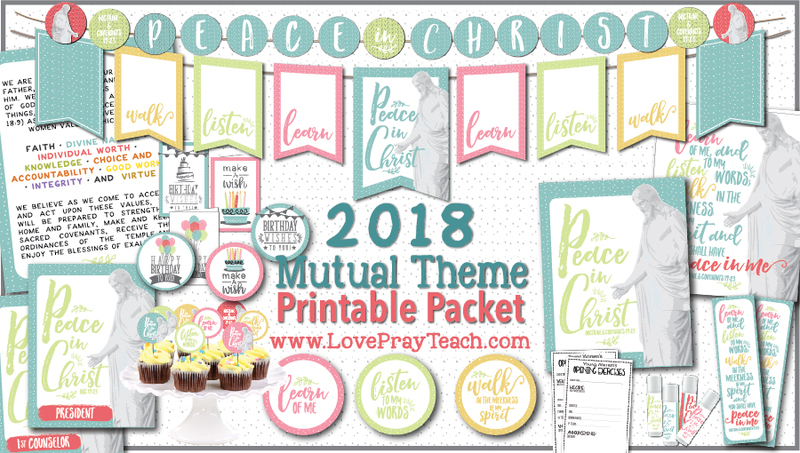 2018 Mutual Theme Printable Packet "Peace in Christ"
You are here: Home » Young Women » 2018 Mutual Theme Printable Packet "Peace in Christ"
Doctrine and Covenants 19:23: “Learn of me, and listen to my words; walk in the meekness of my Spirit, and you shall have peace in me” (emphasis added). Isn't that such a beautiful scripture? To me, this scripture will help bring the basics of the gospel into the lives of our Youth. 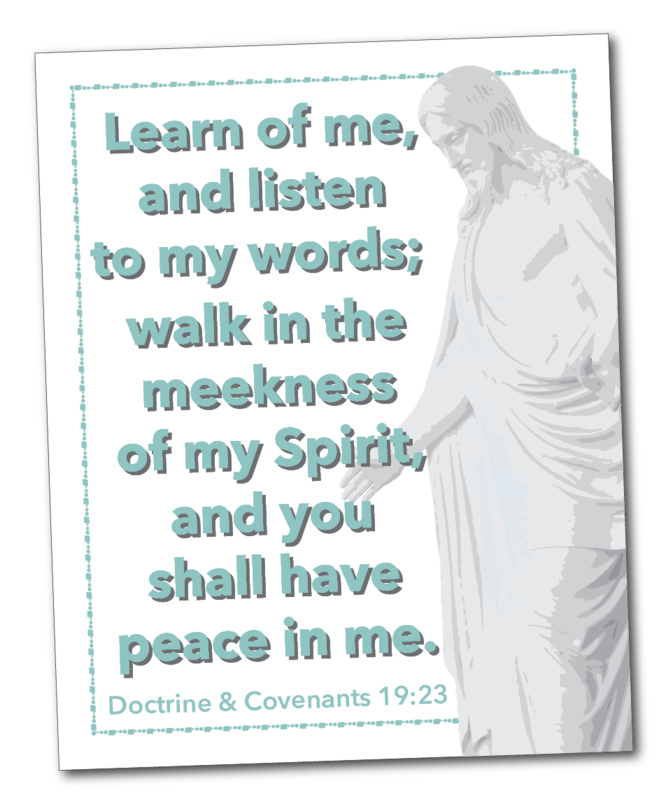 Speaking, learning, and teaching about Christ will increase testimonies. In a world of ever increasing noise, learning where true peace comes from will be a blessing in each of our lives. 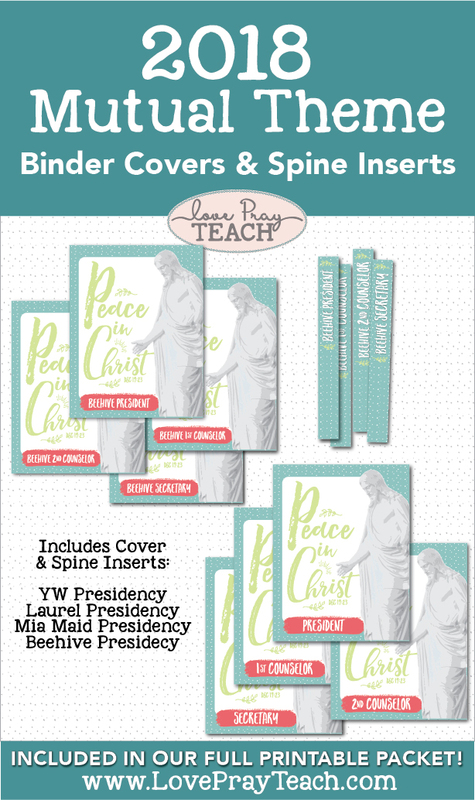 Our printable packet contains everything you're going to need for the coming year! The colors I used are bright and fun! I have an advantage with having two teenage daughters! Everything I made for this packet was teenage approved! 2 Banners! 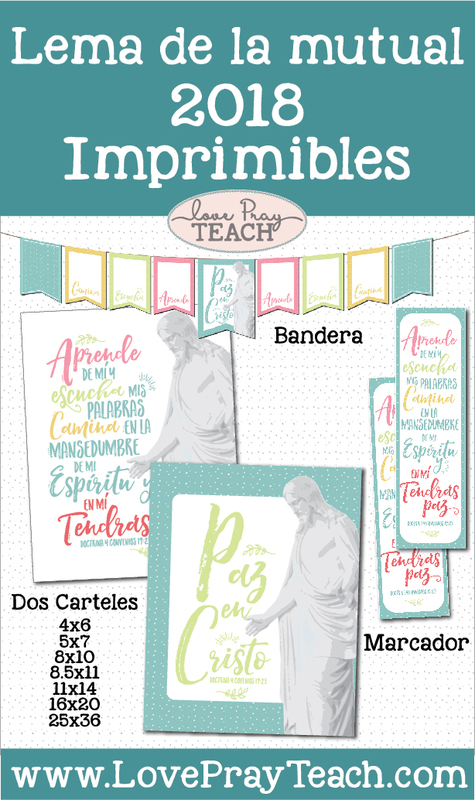 These banners will looks adorable in your Young Women's room! Or help your daughter remember the theme all year by hanging a banner in her bedroom! Young Women Main Theme Posters! Hang this poster up so the incoming girls will know how to recite the YW Theme! Also includes smaller sizes to be used as gifts, cards, or decorations throughout the year. 5 8"x8" Circles to decorate your bulletin board! 15 Matching Digital Scrapbook Papers! 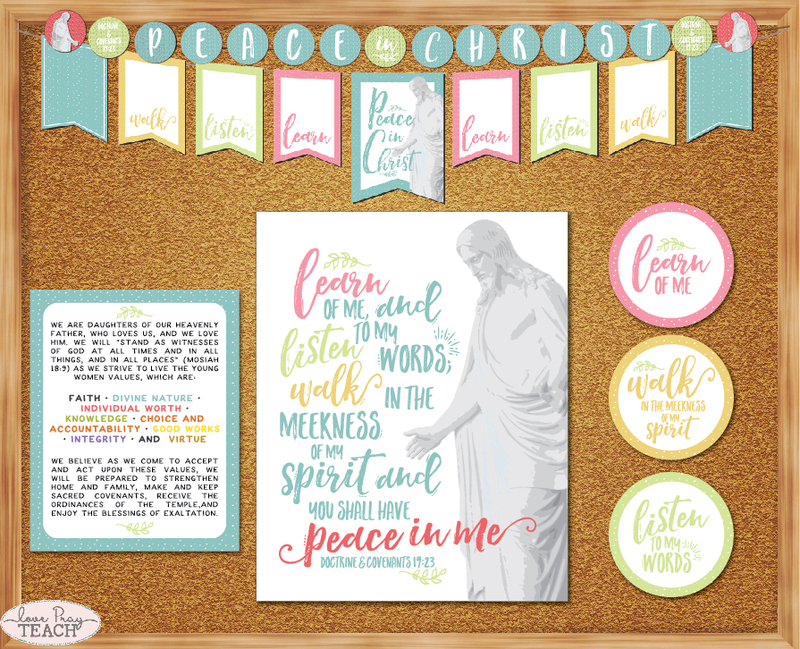 Use these coordinating designs to help you decorate your room, create invitations, make cards, etc. The ideas are endless! Bonus! Also included this year is a 16x20 poster of the full scripture in block lettering to use for Mutual night! My Dad (who is a Bishop) requested this poster this year because he likes his Youth to recite the theme in Opening Exercises for Mutual! Blank Covers if you'd like to make a binder for every girl! 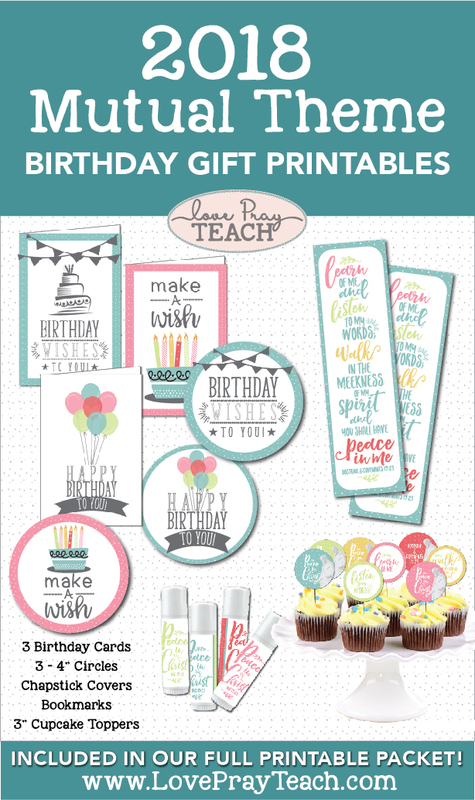 3 - 4" Round Birthday Tags that would look adorable on any gift or bag of candy! If you are a member, click here to download the full packet! FREE! 2018 Mutual Theme Posters! 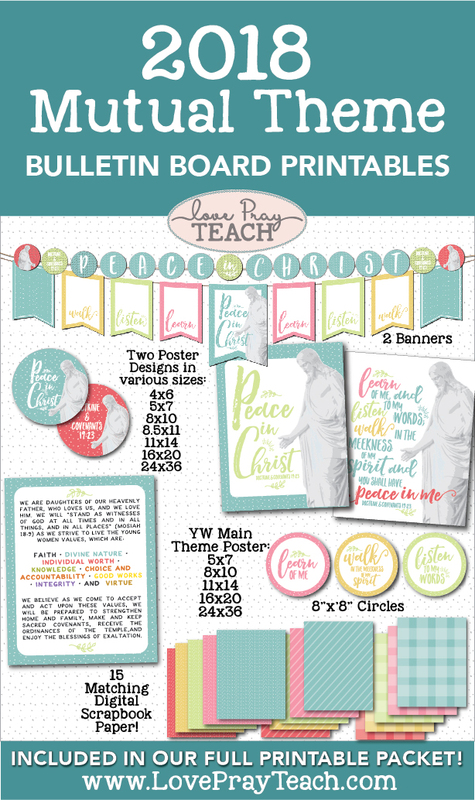 March 2019 Editable Newsletter Template and Sunday Lesson Schedules for Relief Society or Young Women!